Hirado Beef was voted Japan's top beef during the 2012 national cattle contest. 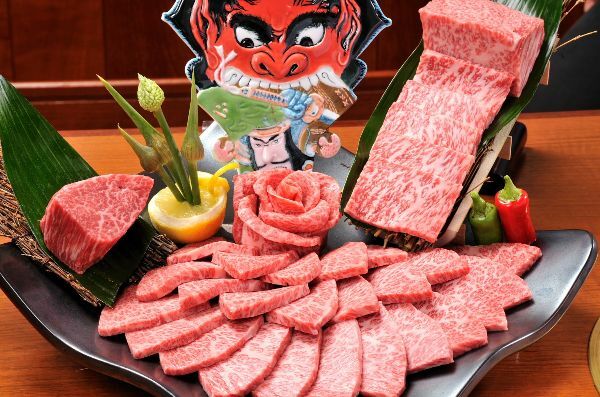 Popular as thinly sliced yakiniku grill meat as well as steak, you can enjoy this top rated tender meat for a reasonable price in Hirado. 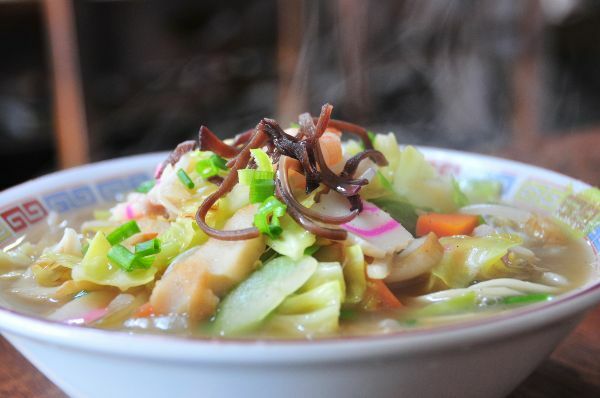 Hirado Champon is a classic local favourite for lunch. The soup is made from pork broth and most shops use freshly made local champon noodles. A generous topping of veggies, sea food and pork is bound to fill up anyone. Ago is the local word for flying fish. A healthy light soup with full umami is created from dried Ago. 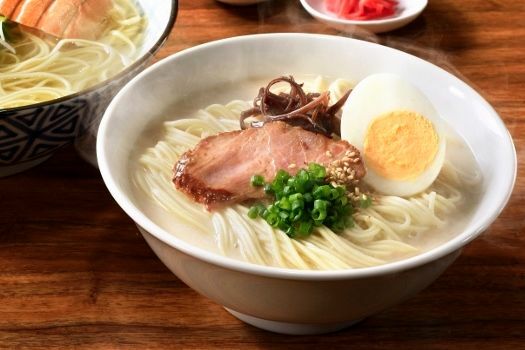 The first ago-dashi ramen shop started on Ikitsuki Island and this healthy Ramen is now gaining popularity across Japan. 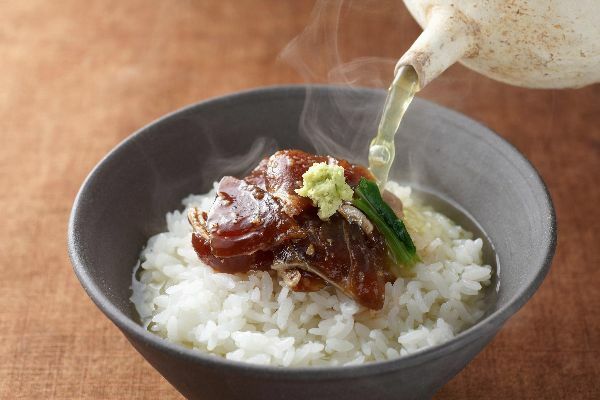 Chazuke is a Japanese dish in which green tea or broth is poured over steamed white rice. Oshima in Hirado is famous for its chazuke topped with local marinated sea bream. Great as a dish on its own or to finish a meal. 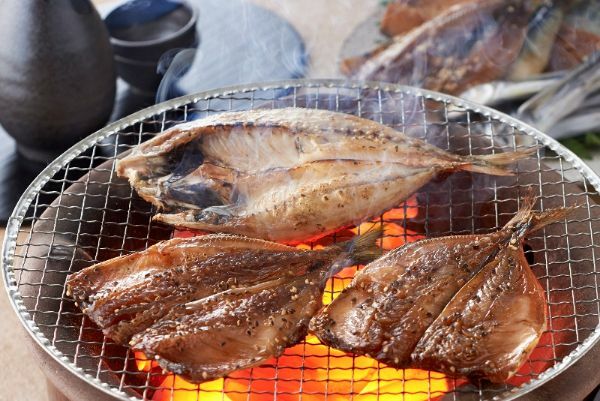 Flying fish ("Ago" in local dialect) is one of Hirado's specialities and has become very popular in recent years. It can be eaten grilled as a snack with your beer, but it can also be powdered and used for making broth. 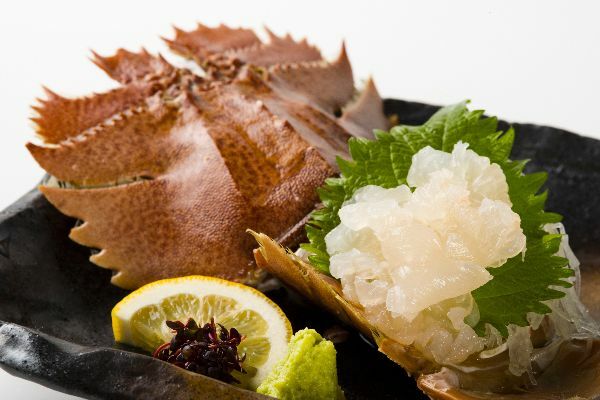 Fan lobster (Uchiwa-ebi in Japanese) is a small lobster which tail resembles a fan. It only has a small amount of meat but what it lacks in amount it makes up in taste. 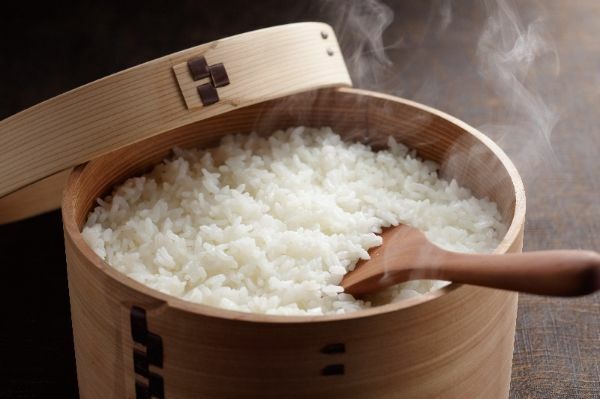 It is both delicious raw or boiled and served in miso soup. 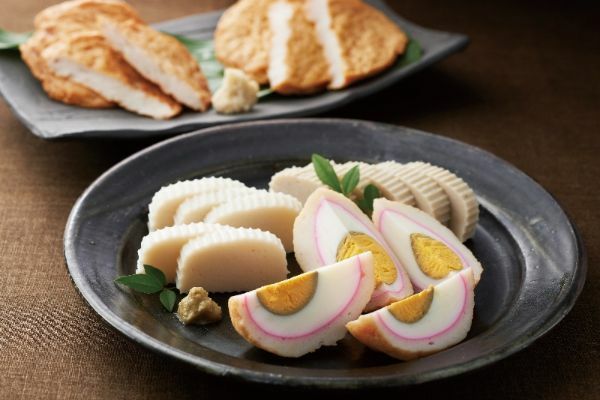 Kamaboko is a fish paste, made from pureed and steamed fish. Kawachi village is especially famous for its Kawachi Kamaboko. It can be made of various types of fish and is eaten as is, deep-fried or wrapped around egg. Ara is the local name for the Longtooth Grouper. 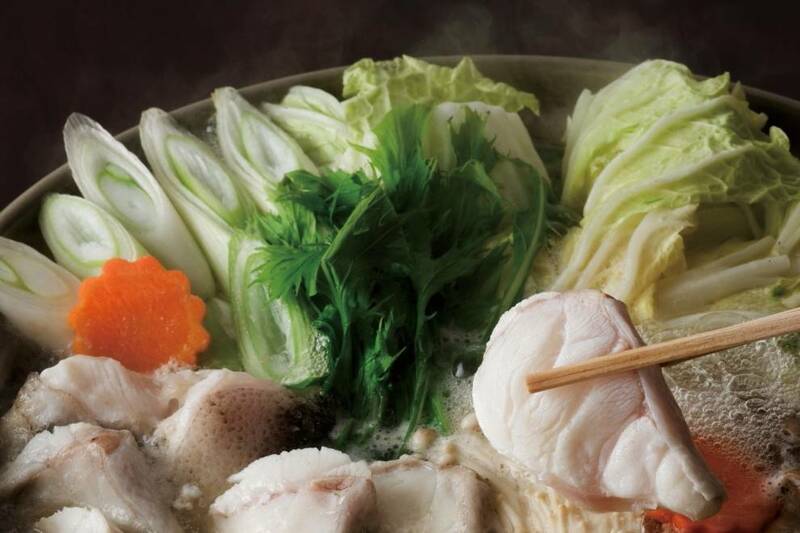 This expensive and elusive fish has firm meat and a high fat content which makes it delicious both as sashimi or in a hot pot which is especially popular in winter. Flounder is a flatfish called Hirame in Japanese. 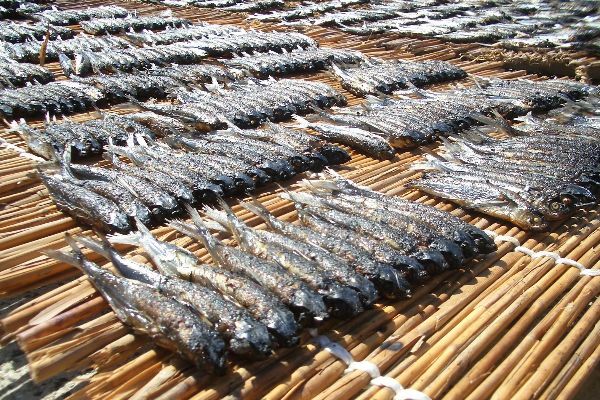 Hirado has the largest catch of Hirame in Japan. 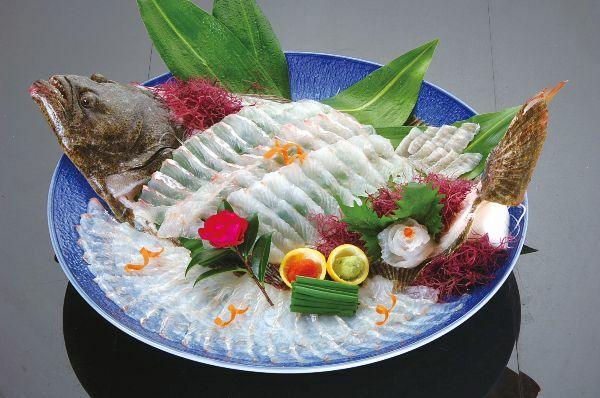 It is regarded as one of the most delicious fish for its firm and clear meat. The best season for natural Hirame is from January to April. The seas around Hirado are full of squid (Ika in Japanese). There are many different types which are caught during different periods of the year. 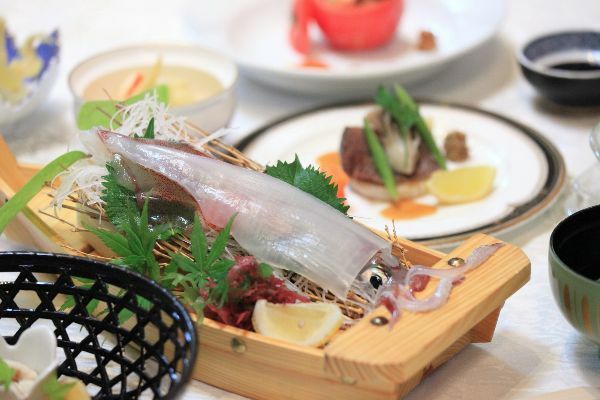 Try the soft Yari Ika (Spear squid) in Spring or Aori Ika (Oval squid) in autumn. There are various types of yellowtail in the seas around Hirado. 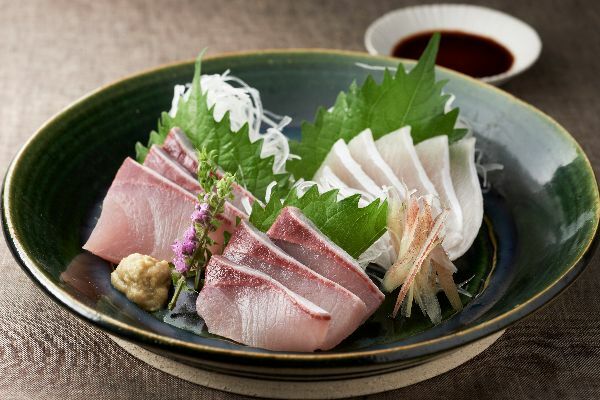 In winter "Buri" is popular but in spring Hiramasa (locally known as "Hirasu") are in season, which is regarded the nicest type of yellowtail. This little fish known as "Aji" in Japanese is a popular and versatile fish. The seas around Hirado and surrounding area have the greatest catch in Japan. It is on the menu year round and is nice as sashimi or deep-fried. 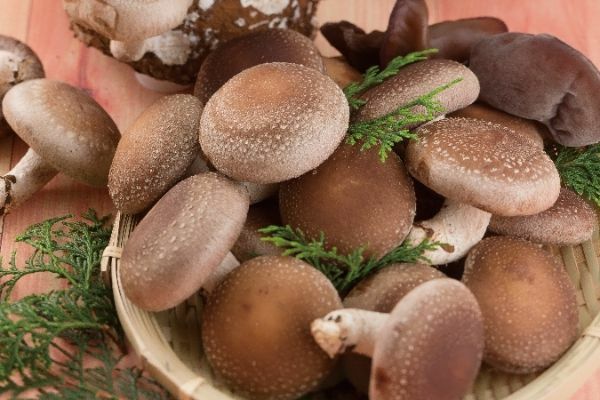 Shiitake mushrooms are a famous local agricultural produce which you can find in many supermarkets around the region. This was one of the first areas where asparagus was introduced to Japan. 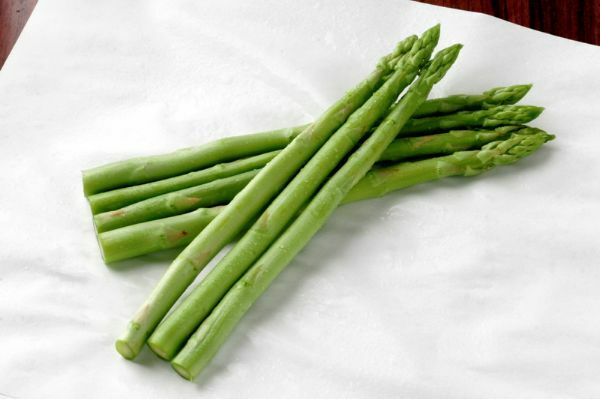 In Hirado farmers grow only green asparagus. When you drive around Hirado you will see the vinyl houses used for strawberries. 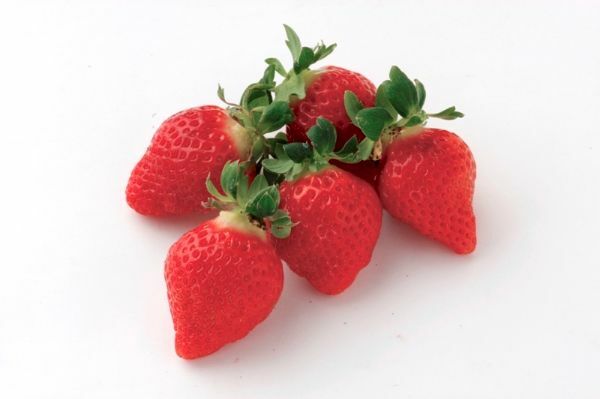 Winter is the strawberry season. The terraced rice paddies are a beautiful sights when driving around Hirado. The salty sea winds provide a great taste. 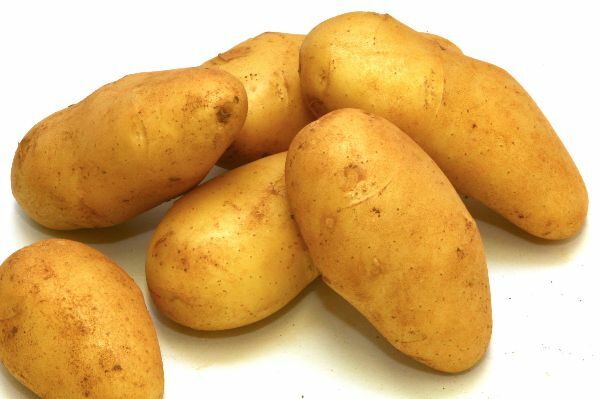 Potatoes were introduced first to the Nagasaki area through the Dutch trade and are still grown a lot on the island. 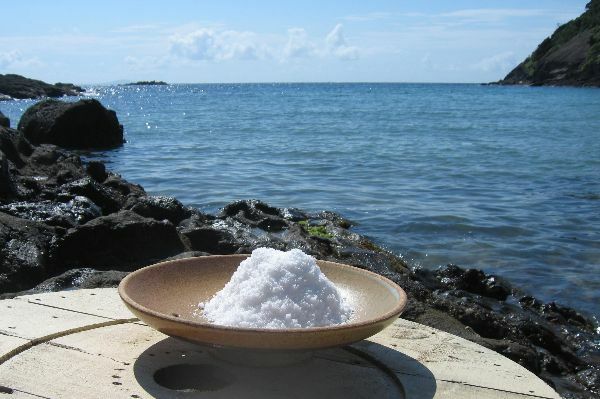 The sea in Hirado is not only beautiful, it also provides a deliciously soft salt rich in minerals and made in a traditional way. 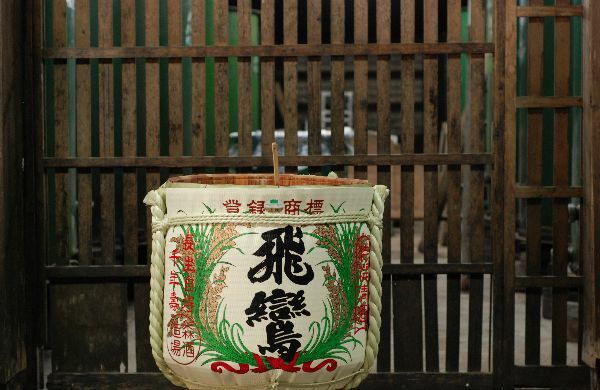 The two sake breweries make excellent award wining daiginjyo sake from local rice and mountain water. Kyushu area is famous for distilled Shochu. 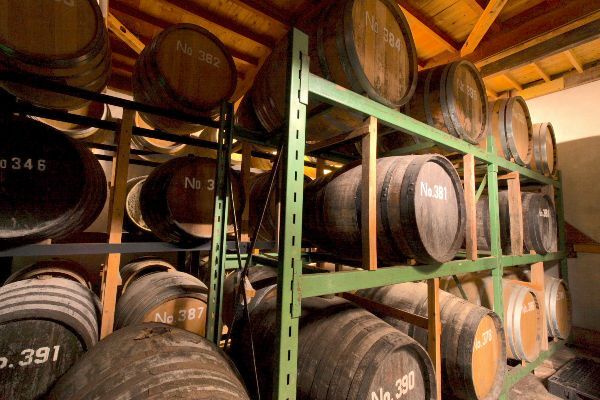 In Hirado you can buy shochu from potatoes or aged in casks for 10 years. Casdous is a sweet is thought to have been introduced by the Portuguese in the 1550's. It is still made today and its lavish sweet taste is great with Macha or a strong coffee. 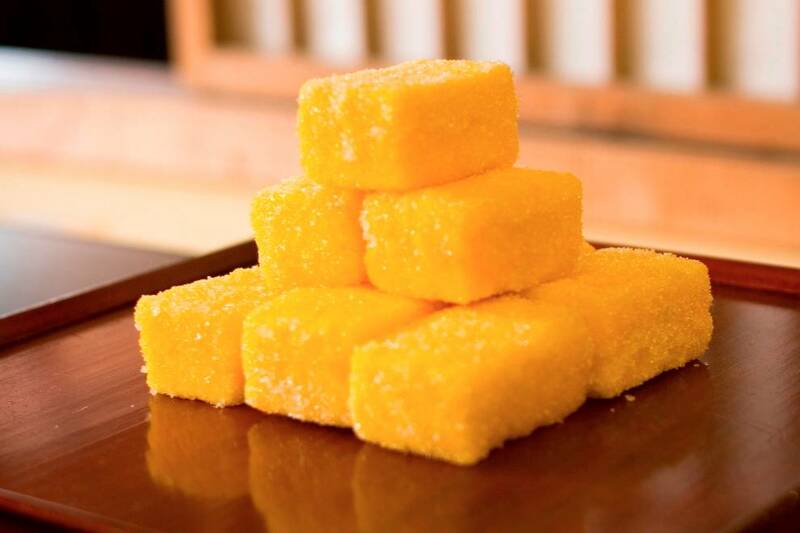 Another famous traditional sweet from Hirado is Gobo Mochi. 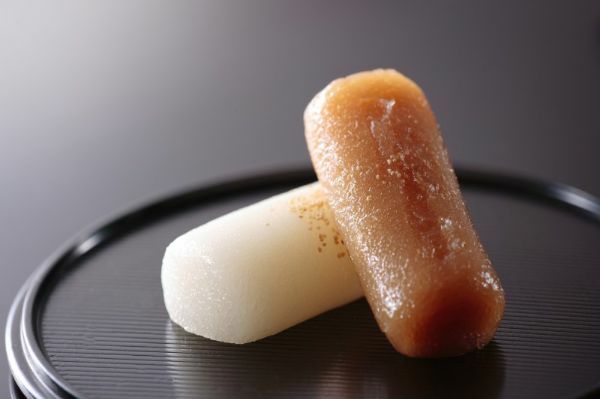 This soft and sweet mochi is named after burdock root (Gobo in Japanese) which it resembles. 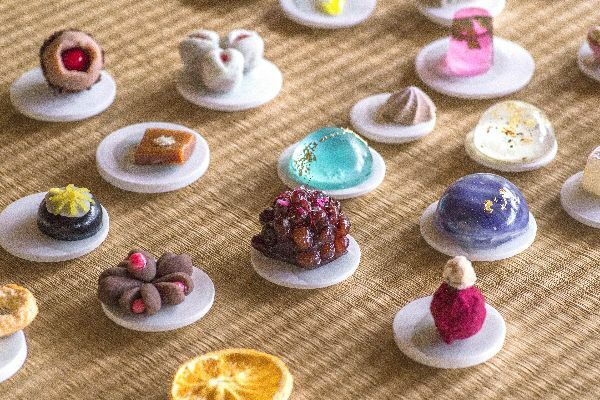 We could go on listing all the delicious sweets, like the revived sweets from the Edo period or sweets from the Sweet Hirado project, but the best way is to just try them for yourself! Citrus fruit has long been a locally grown crop. 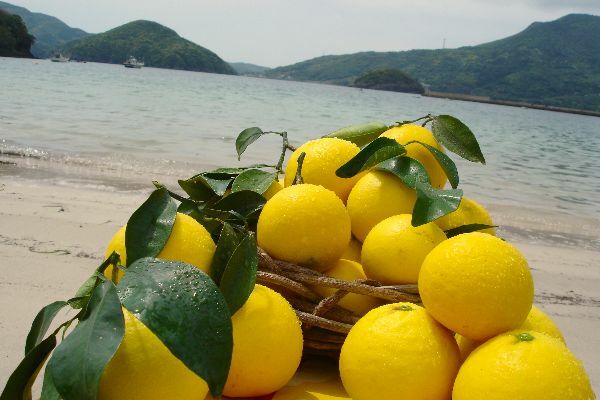 You can find traditional citrus fruit like pomello in autumn, mandarin in winter or Hirado Natsuka in spring.